Battleborn is zany. Positively wacky. There have been instances, in the past, where the zenn diagram circle for ‘zany’ crosses over into ‘funny’ – but it remains to be seen whether Gearbox’s MOBA-shooter is more Tales from the Borderlands or, well, Borderlands. We’re in for a summer of shootybangs. In the meantime, why not pull out the best FPS on PC? You can probably work it out ahead of May 3 by watching Battleborn’s prequel motion comic series through. The three episodes track the end of the second to last star in the universe, as well as the rise of Trevor Ghalt as leader of the Battleborn. Running the Numbers, The Rescue and No More Heroics build to a grave decision with “universe-ending ramifications”, say Gearbox. Battleborn’s premise, for those not yet familiar, concerns a ragtag fighting group of former enemies forced to work together in defence of the very last star in existence. I’m new to the motion comic form, so I haven’t seen the best of this brave new medium. But hearing actors spew lines I’ve seen onscreen just a split-second earlier feels a tad too much like attending a presentation read off the PowerPoint. 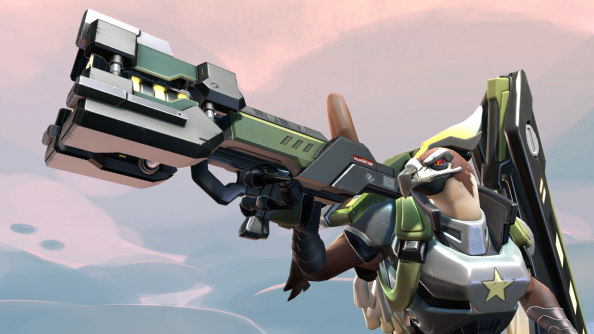 Are you exciting about Battleborn? Or saving your trigger-finger for what we now know is to follow: Borderlands 3?